Where to Buy Avert DF Dry Flowable Cockroach Bait, Avert Dry Flowable Roach Bait Insecticide - 30 Gram Tube - $27.55 for Sale with Fast Free Shipping! 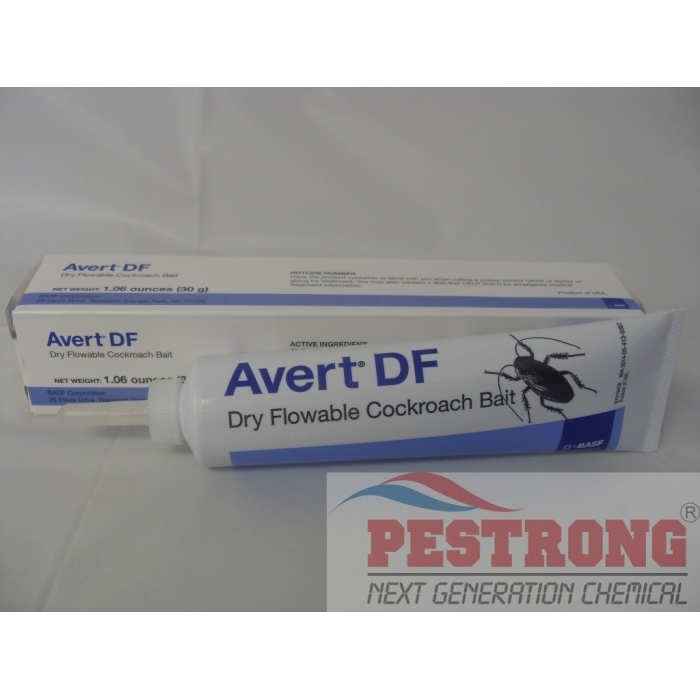 Avert Dry Flowable Roach Bait Insecticide - 30 Gram Tube controls both bait-averse and non-bait averse cockroaches. Gentrol Point Source Insecticide IGR - 1..
Controls both bait-averse and non-bait averse cockroaches. Remains effective for more than one year after initial treatment. Reaches void areas that gels and bait stations cannot reach. Pick-n-preen: Cockroaches pick up a lethal dose by exposure. Also control Ants, Booklice, Carpet Beetles, Cockroaches (including carbamate, organophosphate, organochlorine and pyrethroid resistant strains), Crickets, Drugstore Beetles, Earwigs, Flour Beetles, Grain Weevils, Pillbugs and Sowbugs. Works great. Good for tight spots. I bought alpine roach bait an avert dust and Talstar Professional . And the products works great. The bait work awesome on roaches . Talstar works good inside and outside .